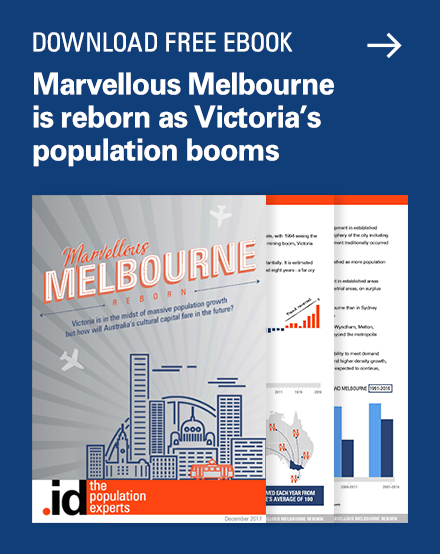 Metropolitan Melbourne is experiencing unprecedented population growth and remains an attractive destination for migrants from regional Victoria, interstate and overseas. 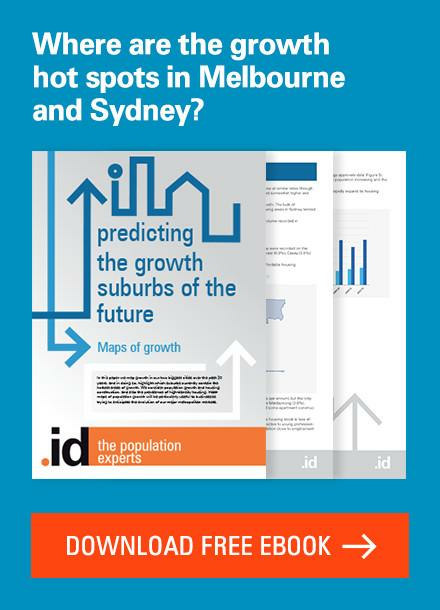 Because of this, suburbs on the fringe of the city are also experiencing substantial growth. One of the fastest growing areas on the fringe of Melbourne is the suburb of Tarneit, which is quickly filling in with houses (and people). 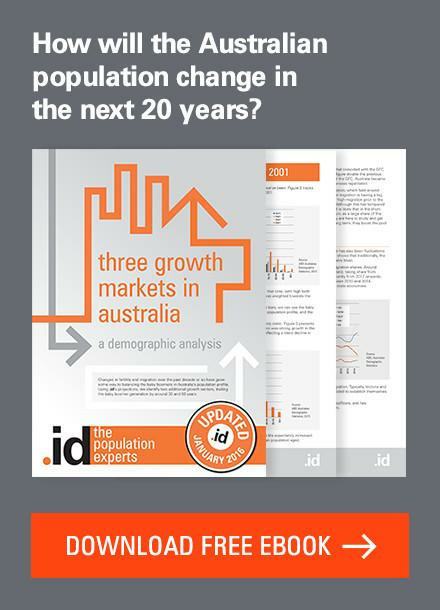 The suburb of Tarneit has a population of 39,500 people (SA2 – Source: .id SAFi 2017), which is forecast to grow to 92,000 by 2027, an average annual growth rate of 9%. By comparison, Greater Melbourne’s (Greater Capital City Statistical Area) average annual growth rate over the period will be 2%. By 2027, the Tarneit SA2 will be larger than the Melbourne SA2 and will also be the largest SA2 in Victoria by population. Tarneit remains and will continue to be a destination for two-parent family households, due largely to the type of housing being built here. Two-parent families make up 47% of households in the Tarneit SA2 compared to just under 32% for Victoria. By 2026, two-parent households in Tarneit will total nearly 12,000, comprising half of all households in the SA2. As we often see in growth areas, nearly half of Tarneit’s population is aged 0-9 and 30-39, representing household forming 30-somethings and their children. This is often the case given the appeal of suburbs on the fringe to young families wanting to get a foothold in the property market. However, by 2026, we will also see more growth in the 10-19 age group as that cohort of children grows older. 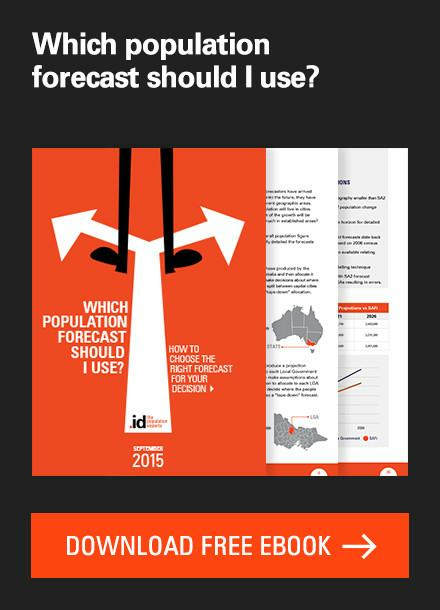 More than half the population growth in Tarneit from 2016 to 2026 will be in the 0-14 and 30-44 age groups. In the longer term, Tarneit will also experience significant increases in older age groups. By 2041, more than 20,000 people in the suburb will be over the age of 55 as children move out and their parents begin to ‘age in place’. This will pose a challenge to service providers in the area, particularly those who provide age-specific services. 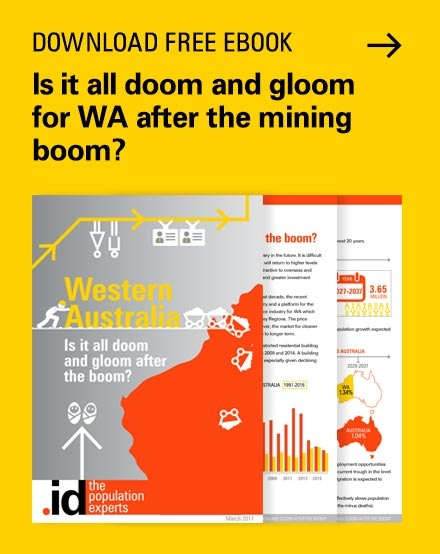 Between 2017 and 2027, over 15,000 new dwellings are expected to be constructed in Tarneit and about one-third of all dwelling growth in the City of Wyndham over that period. As you can see from the map below, much of the dwelling growth will be close to the Tarneit railway station, with some growth in the southwestern and northern portions of the SA2. The animated maps below demonstrate the scale of residential development in Tarneit from 2010 to 2017. In late 2010, the area around what is now the Tarneit Gardens Shopping Centre was only just starting to take off. Much of the land in the area was still relatively rural. Only seven years later, much of that rural land has since turned over to houses, with the development continuing to expand northward and westward. 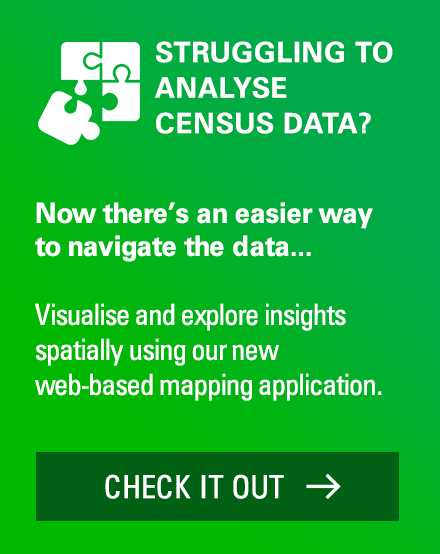 Using .id’s Urban Development Layer (UDL), we can pinpoint which development sites are expected to develop and when. 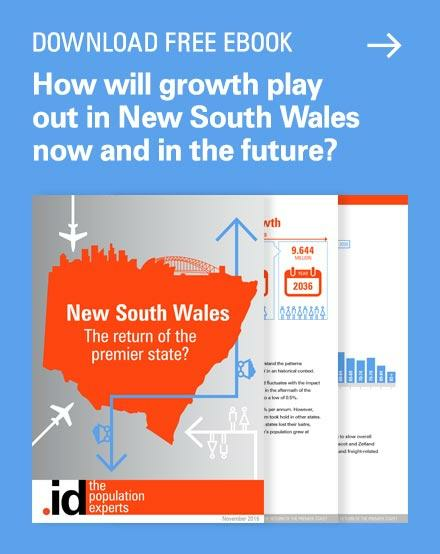 According to the UDL, an additional 14,000 dwellings are anticipated to be built in major sites in Tarneit between 2017 and 2027, 6,000 of which will be built in the next five years. The map and table below show the location of developments expected to occur in Tarneit from 2017 to 2022. You can see from the map and table above, that over half the dwelling growth in the period will be in five large estates – The Grove, Rothwell Estate, Habitat on Davis Creek, The Heartlands and Riverdale Village. Other estates, such as Manhattan Place (a bit of a misnomer perhaps), Parkview, Tower Rise Estates, Little Green and Haven at Tarneit will be completed in the 2017-2022 forecast period. .id monitor residential dwelling development at a granular level as it forms part of our population forecasting assumptions. 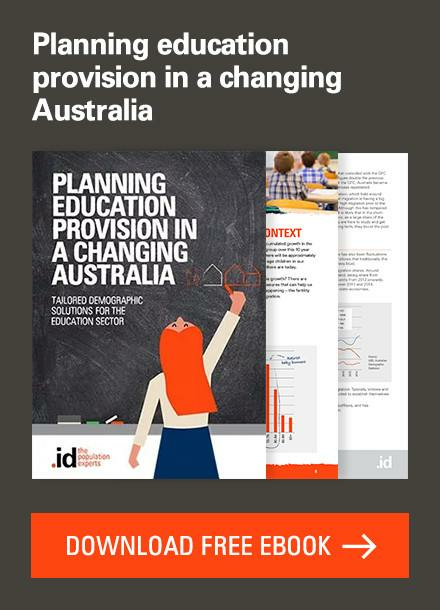 .id is a team of demographers, population forecasters, urban economists, location analysts, spatial planners, IT and data experts who use a unique combination of online information applications and consulting services to help local governments and organisations understand people and places for evidence-based planning. Scott’s background is in urban planning, economic development and GIS. He worked for an economic planning consultancy in New York City and is passionate about making our cities more liveable, equitable and beautiful. His role at .id is on the SAFi team where he researches and applies the future assumptions to our population forecast models. Scott enjoys exploring the nooks and crannies of his new hometown and planning his next trip to an exotic locale. Very interesting to look at the development on both sides of the railway line on my commute through Tarneit (and Wyndham Vale) on the way to Geelong in the last couple of years. The canola fields will be less and less. I have been past Tarneit on the train between Geelong and Melbourne. It is a very new estate. It is growing very fast. Most who got on were migrants. There are barely any shops yet. It did not exist till the railway was rerouted. Previous story How do Australians get to work?